Beautiful New Built 1746 square foot Ranch with open floor plan and Master Suite with Custom Tile Shower bathroom, Wide Plank Hardwood flooring, Gas Fireplace with Decorative stone from floor to ceiling, Granite counter tops in the Kitchen and bathrooms, 9' ceilings, 12 Course basement with Egress Window, Covered Porch, You can still pick out your own carpet for the bedrooms or continue the hardwood flooring. Close to Lake Ontario, and Stores and Restaurants in Webster. 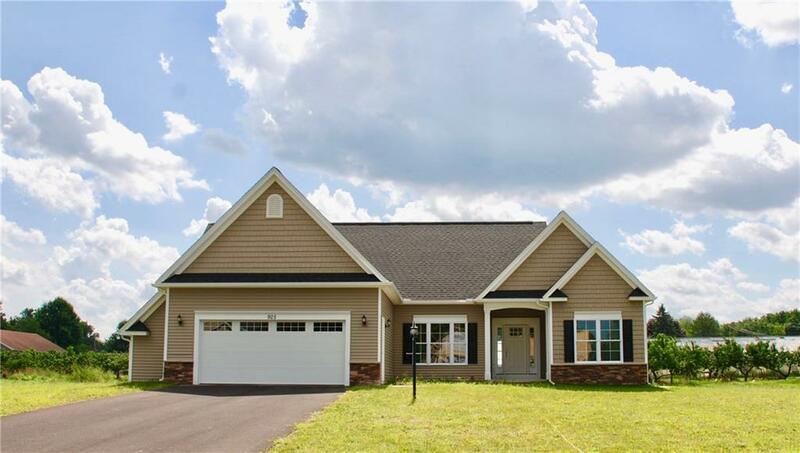 Don't miss this fantastic opportunity for a New Built Ranch in Webster. Directions To Property: Five Mile Line Rd To Klem Rd To Whiting Rd To Apricot Lane On The Right Hand Side When Traveling North On Whiting Rd.